What is a Master IJO Jeweler? 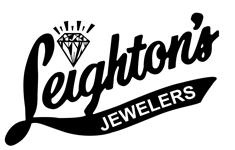 Leighton's Jewelers is a member of The Independent Jewelers Organization (IJO), which offers us extensive buying opportunities, allowing us to bring the top fashions and best prices to our clients. The IJO also allows us to buy directly from the diamond cutters in Antwerp, Belgium, the diamond capital of the world. Confidence - As a Master IJO Jeweler, we adhere strictly to the following values to give you the confidence you need to make the right jewelry selection and purchase. Trust- We earn your trust based on Integrity, Honesty and Expertise we deliver through our hometown service. Integrity- As a Master IJO Jeweler, we adhere to an ethical code-of-conduct and best business practices. Honesty - We are sincere and truthful about the information and pricing of the fine jewelry we sell in our store. Our combination of experience, skill and knowledge is quality we bring to help you make a confident jewelry purchase.